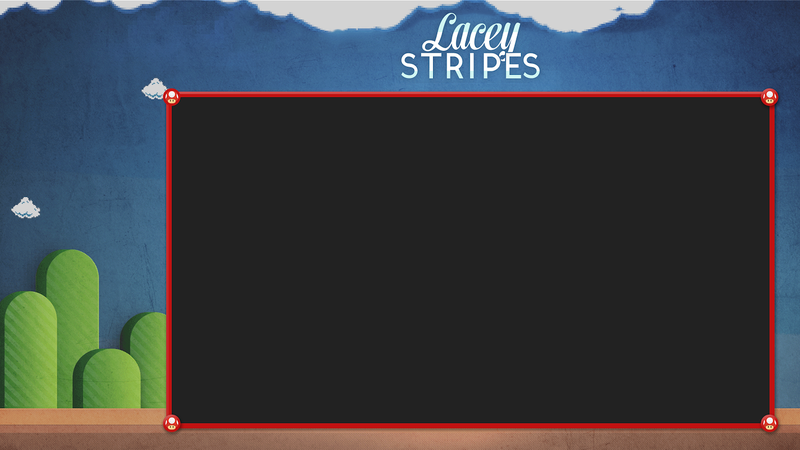 I was asked by growing twitch.tv livestreamer LaceyStripes (Lacey) to brand and create overlays for her stream. She mostly plays more retro games, such as Super Mario 64, Zelda and more. 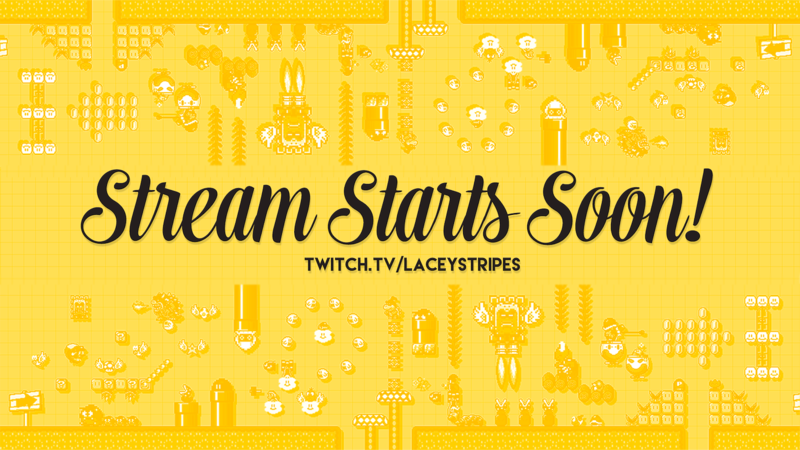 ‘Stream Starting Soon’ screen for twitch.tv/laceystripes. 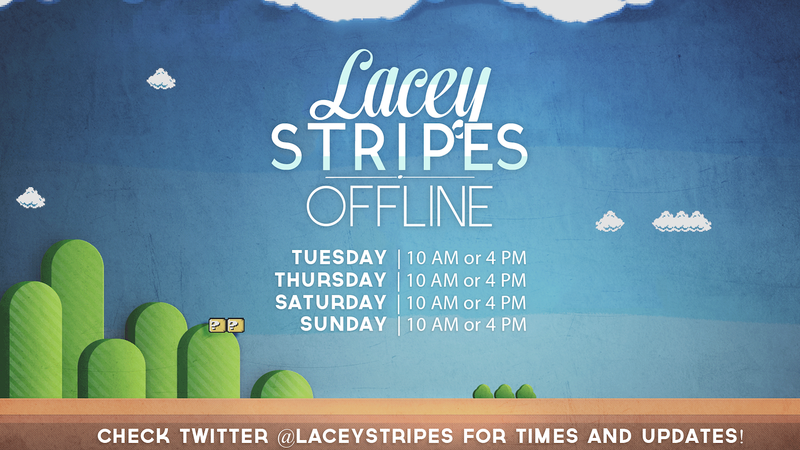 Offline screen for Lacey’s stream. States times, and a bit of typography in the script. Description headers. Went with the transparent tops, and It will look super clean on the site. Speedrunning overlay. Space for a webcam on the left, and a timer. Heavy Mario influence.